We all have our vices, and if shoes are yours just one pair of timeless black boots will never be enough. 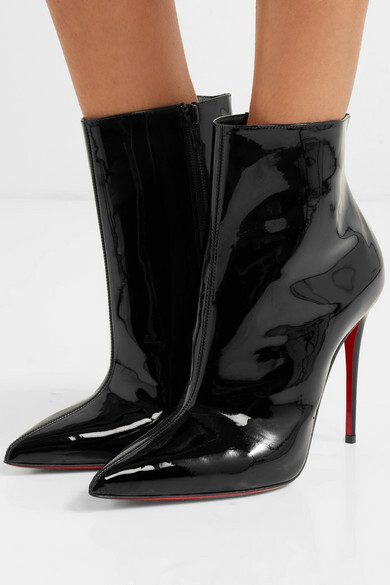 A worthy addition to growing collections, Christian Louboutin's 'So Kate Booty' style takes cues from the designer's best-selling pumps, which are named after Kate Moss. 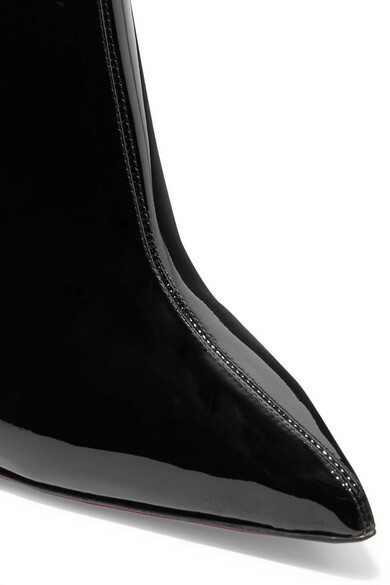 This sharp-toed pair is made from patent-leather and lacquered with an equally glossy signature red sole. Shown here with: Jacquemus Skirt, Off-White Top, Loewe Pouch, Jennifer Fisher Earrings.